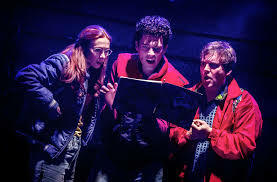 Following a massively popular run at The Other Palace at the start of the year Eugenius is making a return after huge public demand in September. Coming back to The Other Palace from Saturday 1st Sept to Sunday 7th October, Priority Tickets will be on sale 26th/27th April and on General Sale from 10am on 30th April. If you saw the show the first time round you will know it is everything you want for an 80's themed Superhero spectacular. If you haven't seen them show, pick up a ticket and get the soundtrack downloaded as it will on your playlists for months to come.